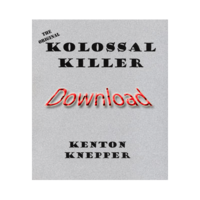 Today, when you order "Kolossal Killer (Original) by Kenton Knepper", you'll instantly be emailed a Penguin Magic gift certificate. You can spend it on anything you like at Penguin, just like cash. Just complete your order as normal, and within seconds you'll get an email with your gift certificate. 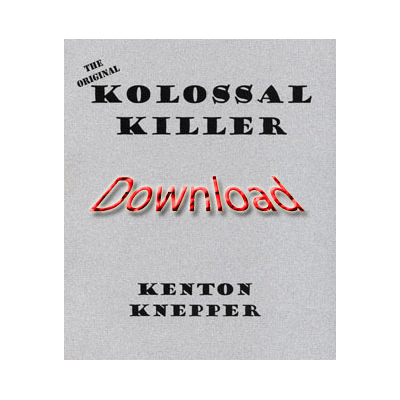 Kolossal Killer has long been one of Kenton's favorite and most beloved creations. Unfortunately, versions sell for over one hundred dollars... Not any more! What is Kolossal Killer? Spectators just NAME a playing card, and you have the correct card in your wallet! YOU ARE ALWAYS CORRECT! It is the ultimate card "out" for close-up work. 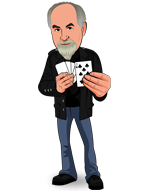 A spectator can mess with you all they want - RELAX - you can still produce a playing card from your normal wallet, as absolute proof that you knew their card all along! Kolossal Killer has become a classic piece of mentalism as well - used by such pros as Larry Becker and Jeff McBride. It's a full blown stage effect, with nothing but the minds of the audience and your everyday billfold! NO Forces. NO Gaffed Wallet. NO Sleight of Hand, NO 52 Card Index (Not 26 cards either)... Whatever they name, you are right! Simple, direct, awe inspiring magic and mentalism - the kind you have come to expect from Kenton Knepper. Kolossal Killer has become a true classic of mentalism and magic. Its effect and method are legendary. Killer has been performed on television, stages all over the world, at The Magic Castle in Hollywood, and in bars and living rooms - all to staggering effect. This stunner couldn't be easier or more diabolical. Only a very select few have been privy to Kenton's original version of Killer - until this release. THIS IS YOUR CHANCE! Get the complete original work with all the devious touches in this manuscript (just add your own billfold and cards). Forever more you will have a truly ground-breaking reputation maker, not "up your sleeve", but in your own wallet.